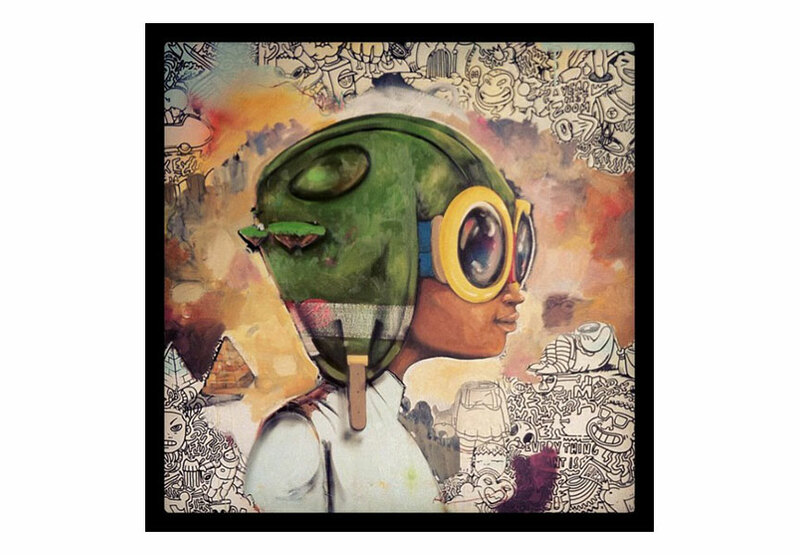 New works from Hebru Brantley’s Made Believe series are now available at Guy Hepner, contemporary art gallery in L.A. Hebru Brantley, a Bronzeville-native living and working in Chicago, explores personal and cultural memory in his art. 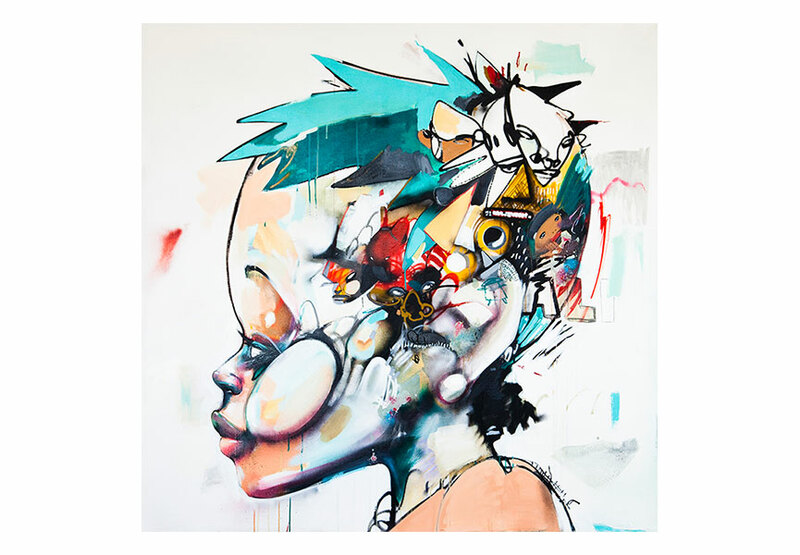 Brantley takes themes from his 1980′s upbringing, using a creative process akin to free-form journaling which employs a variety of surfaces and media including wood, spray paint, coffee and tea. 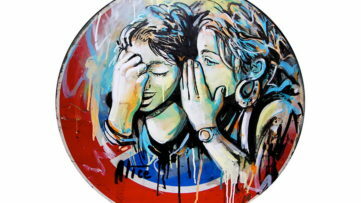 His work delves into political and social issues with a conscious focus on playful insight and the optimism and possibilities of youth. 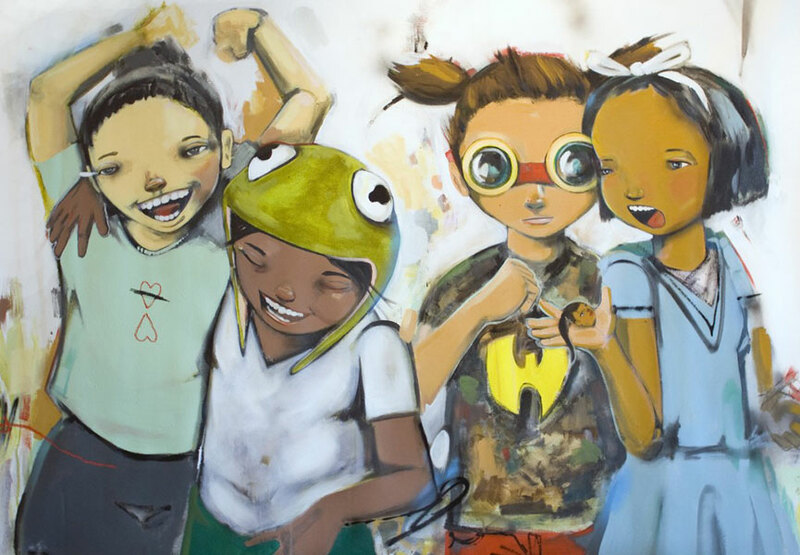 Hebru Brantley draws influence from an array of pop culture icons, comic book heroes, Japanese anime and the bold aesthetics of street art pioneers Jean-Michel Basquiat, Kaws and Keith Haring. Brantley’s recent focus is to share energetic narratives- moments of reality from his life and the lives of his peers mixed to fantastical fiction – to create a fragmented environment of make believe. 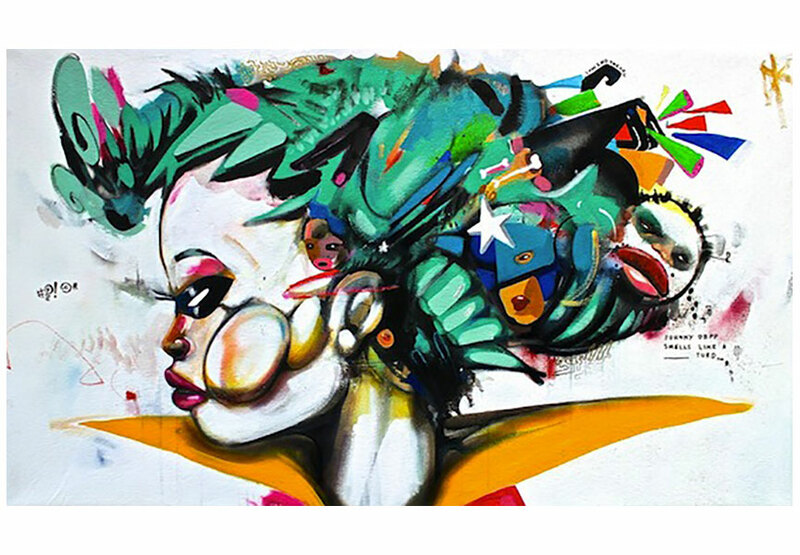 Spray paint is often at the forefront of these mixed-media illustrations, working in part to de-contextualize the levity of cartoon imagery, and bring a critical edge into the white cube. 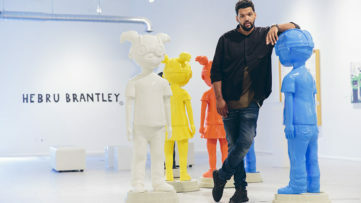 From this, Brantley has developed his own unique style and identifies himself as an Afro-Futurist. 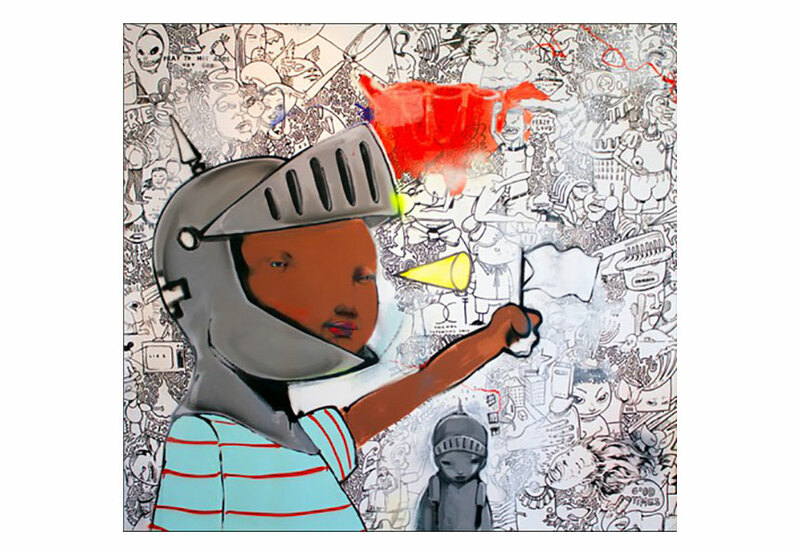 Hebru Brantley has exhibited in Chicago, San Francisco, Atlanta, Miami, Seattle, Los Angeles and New York. 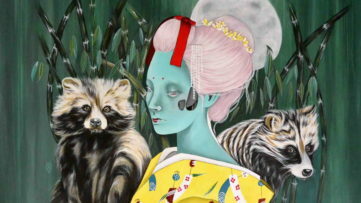 He was most recently the winner of the Redbull Curates Chicago contest and the Bombay Artisan Series. Brantley has been commissioned by companies and patrons such as Skyy Vodka, Nike, Tyra Banks, Lollapalooza. Brantley earned a B.A. in Film from Clark Atlanta University, and has a background in design and media illustration.